Google Wave, the real-time collaboration Web application that debuted to oohs and ahhs from developers at last year’s Google I/O conference, met with a whole lot of “what do I use this for?” from actual users of its invitation-only preview release. In preparation for this year’s I/O, Wave’s seen several updates that could rekindle interest in the fascinating but confusing tool. 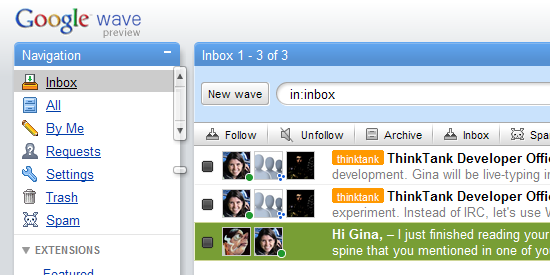 If you haven’t looked at Wave recently, here’s what’s new. Wave now answers the uses question right in its interface. 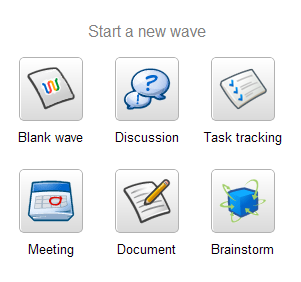 When you launch Wave, in the far-right column, Wave encourages you to start a new wave based on templates tailored to specific tasks. Click on the Discussion, Brainstorm, Task Tracking, Meeting, or Document buttons to start with a wave template that’s formatted correctly with appropriate widgets for the job. For example, the Brainstorm template includes the Napkin gadget, where you can jot down ideas freehand. Up until this week, there was no way to share waves with people who didn’t have a Wave preview invitation and weren’t logged in. 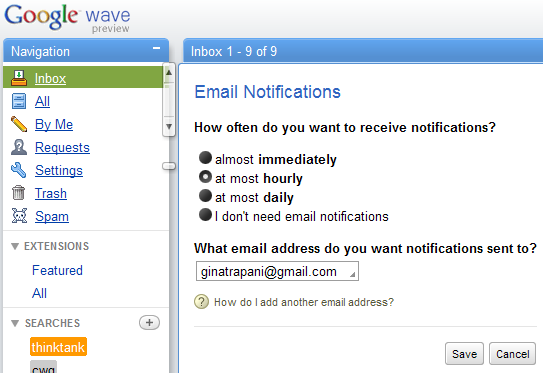 Now, Wave offers anonymous access for embedded waves on Web pages. That means more casual Web surfers can see Wave in action without knowing what it is. Use the new Wave Web element to drop a snippet of HTML into any Web page to embed a wave there. Given the right permissions, anyone can watch that wave change and update live without being logged into Wave. If your embedded wave is public, anyone logged into Wave can update it, and anonymous viewers can see it. 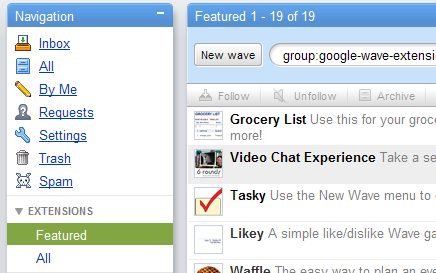 To restrict edit rights to only certain people, add a Google Group to the wave. Restricted group access for embedded waves has particularly interesting use cases: imagine a live text interview, a newspaper editorial staff discussing a breaking story, or conference participants live-waving an event while anonymous passersby can watch on any Web page. I hold weekly office hours with my developers in Wave and publish the transcripts by embedding the wave on a Web page. Check out an example of an embedded public wave below. Wave is a platform that developers can add functionality to with extensions–but until now it hasn’t been easy to find or install these extensions. Under the Extensions menu, you can browse a featured list of extensions and install them in one-click, or browse all extensions. Featured extensions include a video chat widget, grocery list maker, mind map gadget, image editor, and a Sudoku game. These are just the major feature releases Wave’s seen lately; there’s also been a whole lot of polish and usability tweaks, like the long-awaited ability to remove wave participants, and visual cues on how to use the product (like the note to press Shift+Enter to save a blip, or the “click here to reply” prompt below a blip). What are your burning questions, impressions, and complaints about Wave? Ask me in the embedded public wave below. Update: In two weeks, every session at this year’s Google I/O event will be waved. Gina Trapani‘s fascination with Wave led her to author The Complete Guide to Google Wave, which is available to read for free on the Web.